An appellate court vacated five convictions and threw out the sentence of former Ill. Gov. Rod Blagojevich. CHICAGO -- An appeals court vacated five convictions and threw out the sentence of former Ill. Gov. Rod Blagojevich on Tuesday afternoon. The rest of Blagojevich's convictions were affirmed by the 7th U.S. Circuit Court of Appeals in Chicago. "He's optimistic that justice will prevail eventually," said Patti Blagojevich, his wife. The Blagojevich family and his legal team were hoping for more, calling the ruling "disappointing" and "shocking". Though the appeals court threw out five counts, they said the long-awaited decision "is not justice." 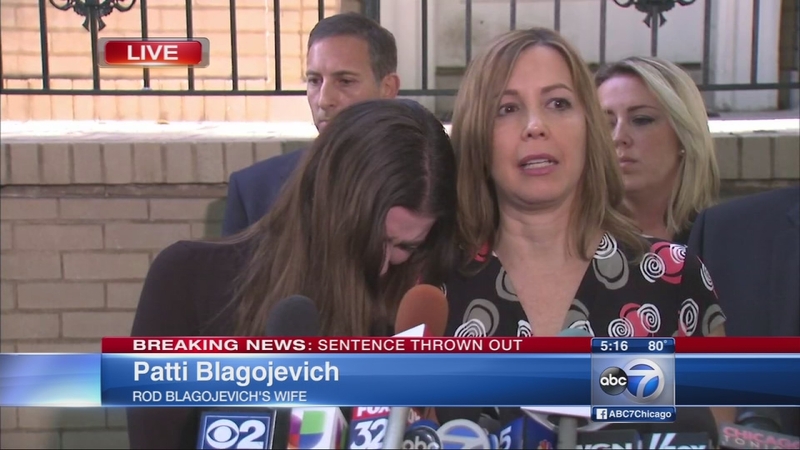 "We are very disappointed," Patti Blagojevich said from the family's Ravenswood Manor home. 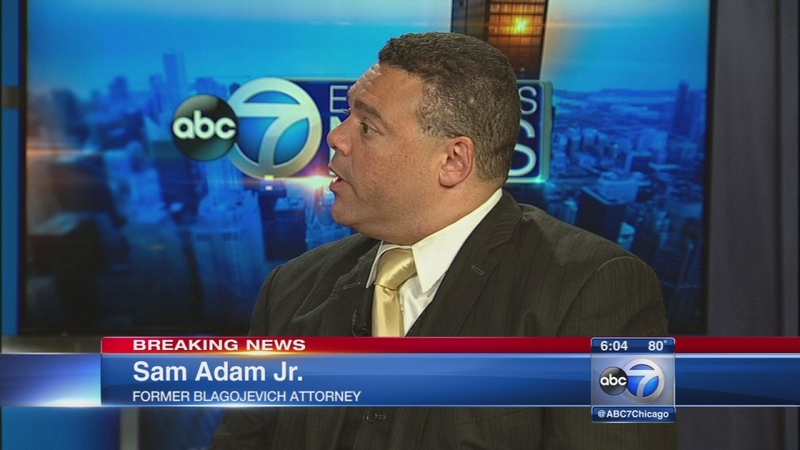 "My advice to the governor is he should fight on," said Leonard Goodman, Blagojevich appellate attorney. If Blagojevich chooses to appeal, he must tell the court within the next two weeks. But with five counts thrown out, the former governor will at some point be re-sentenced, and his attorneys will argue that his 14 years be dramatically reduced. "Most people would look at this and say 'Wow, if a quarter of his counts were reversed, and so a quarter of his sentence should be taken off' - but that's not the way that it works," said Lauren Kaeseberg, Blagojevich attorney. Trial Judge James Zagel could reduce the sentence, but guidelines also would permit him to leave it unchanged. The Blagojevich family hopes the former is the case. "There's been so much over the last three-and-a-half years that Rod's missed: high school graduations, proms, birthdays. If there's any silver lining perhaps this is a step in the right direction in getting him home with us," Patti Blagojevich said. Blagojevich was convicted on 18 corruption counts over two trials. The five vacated counts involve Blagojevich's attempt to sell an appointment to President Barack Obama's old Senate seat for campaign money or a job. -and Count 23, bribery conspiracy. The ruling finds faults with the jury instructions for treating "all proposals alike. We conclude, however, that they are legally different: a proposal to trade one public act for another, a form of logrolling, is fundamentally unlike the swap of an official act for a private payment... Because the instructions do not enable us to be sure that the jury found that Blagojevich offered to trade the appointment for a private salary after leaving the Governorship, these convictions cannot stand." If the prosecutor elects to drop the vacated charges, the district court could proceed directly to re-sentencing on the remaining 13 convictions only, according to the court document USA v. Rod Blagojevich. "The sentence is VACATED, and REMANDED for retrial on the vacated counts," according to the ruling, which was filed by Judge Frank H. Easterbrook on Tuesday afternoon. The ruling also indicated that even without those five convictions, Blagojevich's 14-year sentence was appropriate, so he "is not entitled to be released pending further proceedings," according to the document. Prosecutors are not expected to retry Rod Blagojevich on the five convictions that were overturned by an appeals court Tuesday, a former prosecutor said. Prosecutors have not said if they will retry Blagojevich, who is currently serving time in a Colorado prison. However, experts say it's unlikely. "They have two choices. They can retry the counts or just go to sentencing. And when you look at the three prosecutors that led this charge: two of them have already left the office... the last one just got appointed a state judge the other day. So it's safe to say they're not going to retry those counts," former prosecutor Jeff Cramer said. Resentencing Blagojevich, who has maintained he was engaged in legal, run-of-the-mill politics, will fall to Judge James Zagel. In the appeal, Blagojevich blamed Judge Zagel for a litany or errors. "I'm just very encouraged and uplifted by the possibility that my brother will get some justice and relief from what to me was an extremely harsh sentence. I'm hopeful that this signal from the appellate court to Judge Zagel and also public reaction to the overly harsh sentence that Rod received, will be noted by Judge Zagel and he'll take some positive action. Give my brother some relief. It's long overdue," Robert Blagojevich said. Robert Blagojevich was chief fundraiser for his brother. Originally charged in the case, those charges against him were dropped after the first trial ended in a hung jury. Only Rod Blagojevich went on to a second trial. "Time has passed. And Judge Zagel is a fair man. And I would expect that having those counts thrown out will cause the judge to reconsider the sentence," Goodman said. In 2011, Judge Zagel said, "When it is the governor who goes bad, the fabric of Illinois is torn and disfigured."